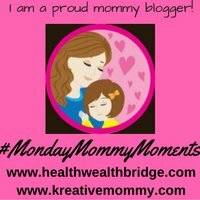 Monday Mommy Moments is my online diary of things I never thought I would write.After 9 months of carrying the baby and then growing up with her, I have become the calmest version of me. If you can plan it in your dreams, you can do it in reality.The trick is to remember what you planned. The trick is to remember what you planned.Sometimes that’s so far deep in your subconscious mind that retrieving will be difficult. I hope she will value good and kind people.Learning to identify good and evil is paramount to a happy life.Know what to look for, identify those qualities and appreciate those people.All of these may not be in one person.But even 60/40 white and grey is okay.The trick is to know inside your heart what is acceptable and what’s not.For that being a good person yourself is very important.I hope she will be a good and kind person. I hope she will continue to cherish nature like she does now.She knows mommy loves staring at trees .She enjoys helping me in the little balcony garden.This knowing and enjoying should stay, grow and blossom as time passes.I hope she will create a green nook wherever she goes.One of the easiest ways to tap into your own creativity is to be around nature, I hope she will remember this. I hope she will study.Hard .Read a lot.Forever.Knowledge is infinite.Applying is difficult.Sometimes the rewards are indirect and not clear.But everything you learn has a value.It helps you grow from inside.Its like watering your soul.Knowledge is essential for a soul to grow.Continuing to learn and challenge your brain is the most well-kept secret to stop age-related dementia. I hope she will become a Doctor.Even with all the negative publicity, the horrifying violence against doctors I hope she does become one.You will ask me why.The simple answer is .there really is no better profession.It has tremendous hardships during training and afterward.It has back-breaking work pressure.You have to study till your eyes and head pains.You will feel sad when you have to give bad news to people.You will carry the burden of your patient’s illness. But, there’s a big but here. Since this is the only profession where you can choose to do the right thing.You can help people, do what you love and still support yourself from the time you have your graduate degree.It’s also a good way to take care of your own self and those of your near ones.Which other profession helps you do this?None.But ultimately she should choose to be a doctor.Its a calling, not a career.The good part is fantastic but the gray zones need the strength of own choice. I hope she will write, blog or whatever ways of self-expression there is.If her being a doctor is important for me .I think writing is a way of self-expression which will make her happy too.She actually makes up stories with words whose spelling she hardly knows.Storytelling is a fun way of finding inner happiness which I wish she will learn. I hope she will be brave and strong.The world is not for the faint hearted or the weak souled.I hope you will remember the values about right and wrong and finding the right balance.Just being right and knowing the right way is not enough.You have to have the tenacity to make people see your light and have the courage to walk alone if needed. I hope she will marry a knight in a shining armor who is a good man as smart as or smarter than her.Smart women don’t live happily with stupid men.It’s a handicap.They may think it’s going to be easy.But it never is.I hope she will marry someone who makes her happy and is kind to her.Someone, she can’t live without, someone who can’t live without her.Life is beautiful when you love deeply. I hope she will know mommy and daddy will always be there inside her.Even if we can’t always be with her we will always think about her wherever we are.I hope she will know how much I love her.I hope she knows how being her mommy changed my life.I hope she will know that life was complete only after I became a mom.I hope she will know I write because of her.Shall I ever tell her all this? Sounds too mushy.So unlikely.But I hope my brain waves are picked up by hers and she knows.The mother-daughter bond is beyond motherhood.Its eternal.The circle of life. Hopes and wishes for your child! Click the blue button below and submit your blog post . I truly wish all these wishes come true Amrita, being kind, brave, happy, strong is something we share in common. Marrying a brave knight in shining armour heheh spoke like a true mom here – why not 🙂 Yes life is beautiful and happy companionship makes it all the more beautiful. Hope every wish comes out true for your daughter …I loved the line..life is beautiful when you love deeply.. Thank you Anubhuti .Don’t you think so too? Hi Amrita. I hope all your wishes for your daughter come true 🤗 Very well expressed. What a beautiful letter to share with your daughter one day when she is older. I know we would love having our children follow in our footsteps as I would like for my son to become a Blogger. But as long as he is happy and likes what he does I will be happy. May you have a Blessed day. I hope all your wishes come true! Don’t we all have such dreams? I doubt that in the coming time we would be able to motivate children to chose a hobby or a career. I like the thought behind you wishing that she becomes a doctor, but how hopeful re we that we will succeed in convincing her? Bond between a mom n daughter is truly eternal …loved the way you look at your profession ..it’s a call and not a career…and yes we tend to see the kids growing on the same path .. So many things we wish for our kids as parents and teach them good things to follow their dreams. I agree to all the points but I never plan professions for them as I feel we should give them wings to fly and discover all the fields. Our duty as parents is to guide them but what they will be in life should not be decided by us. Great points you mentioned as a mom. Thank you Deepa.Oh but that’s my hope ,not my decision.What will be will be.Its all God’s will .